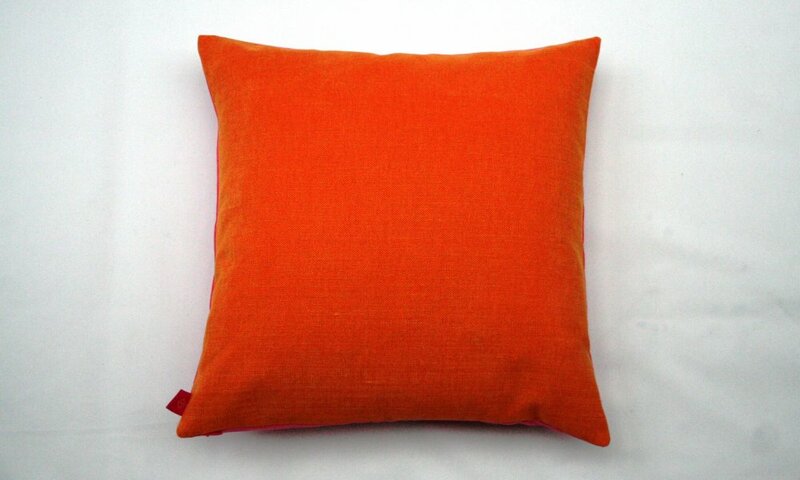 40cm square cushion depicting the hot colours of Jaipur India. 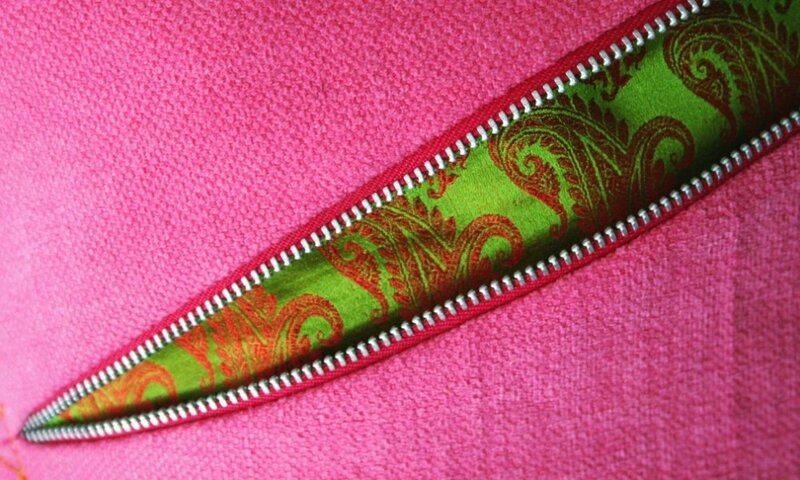 Cushion has candy cotton front with lime and pumpkin coloured paisley silk reveal behind candy metal zip detail. 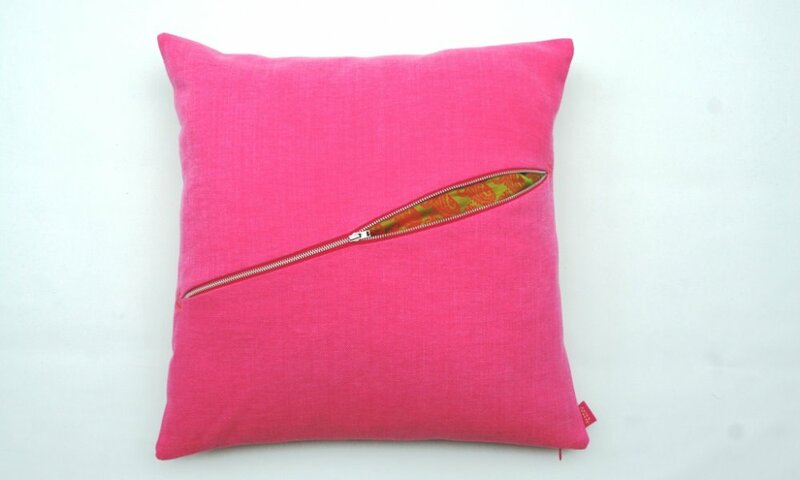 Cushion has pumpkin cotton back, concealed zip opening with feather pad and brand label. 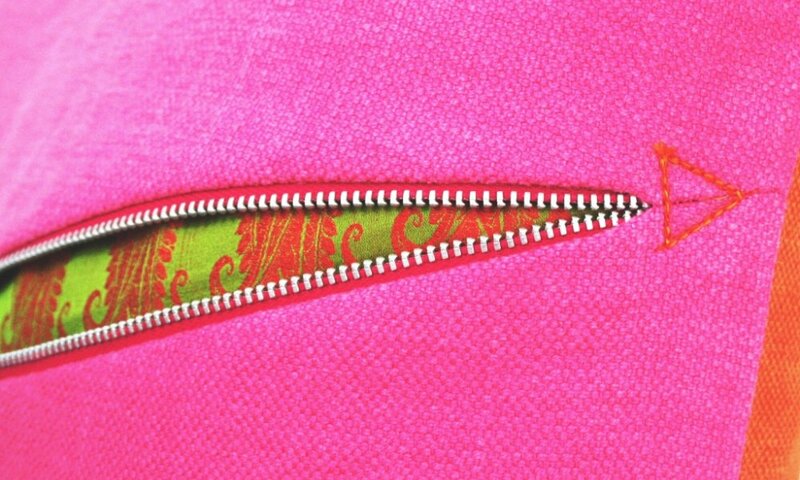 Cushion is dry clean only. Each slash Jaipur cushion is handmade and therefore has slight variations from the image shown.